One of the most ambitious works of paranormal investigation of our time, here is an unprecedented compendium of pre-twentieth-century UFO accounts, written with rigor and color by two of today’s leading investigators of unexplained phenomena. In the past century, individuals, newspapers, and military agencies have recorded thousands of UFO incidents, giving rise to much speculation about flying saucers, visitors from other planets, and alien abductions. Yet the extraterrestrial phenomenon did not begin in the present era. Far from it. 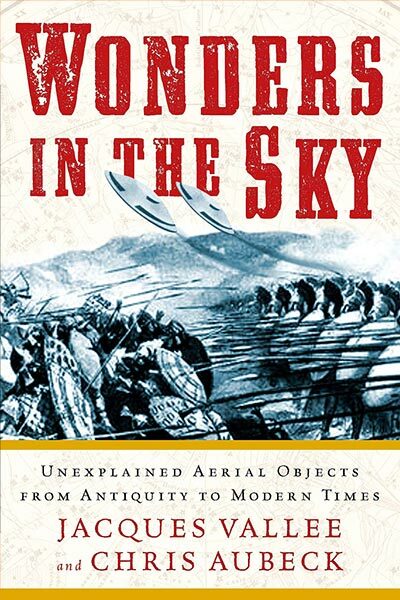 The authors of Wonders in the Sky reveal a thread of vividly rendered-and sometimes strikingly similar- reports of mysterious aerial phenomena from antiquity through the modern age. These accounts often share definite physical features- such as the heat felt and described by witnesses-that have not changed much over the centuries. Indeed, such similarities between ancient and modern sightings are the rule rather than the exception. In Wonders in the Sky, respected researchers Jacques Vallée and Chris Aubeck examine more than 500 selected reports of sightings from biblical-age antiquity through the year 1879-the point at which the Industrial Revolution deeply changed the nature of human society, and the skies began to open to airplanes, dirigibles, rockets, and other opportunities for misinterpretation represented by military prototypes. Using vivid and engaging case studies, and more than seventy-five illustrations, they reveal that unidentified flying objects have had a major impact not only on popular culture but on our history, on our religion, and on the models of the world humanity has formed from deepest antiquity. Sure to become a classic among UFO enthusiasts and other followers of unexplained phenomena, Wonders in the Sky is the most ambitious, broad-reaching, and intelligent analysis ever written on premodern aerial mysteries. IF SCIENCE REFUSES TO DEAL WITH THIS TOPIC, THEN WHAT IS SCIENCE FOR? 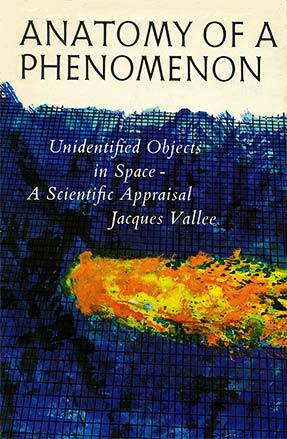 Beginning after the launch of Sputnik and ending with the landing on the moon, the first volume of Jacques Vallée’s journals details how UFOs, in the midst of a proliferation of sightings in the 1960s, became a forbidden science. 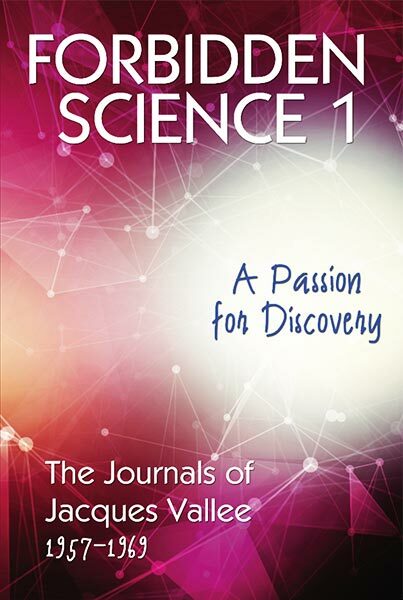 In this beautifully written journal, Vallée reveals just how the scientific community was misled by the government, how the best data on UFOs was kept hidden, and how the public record was shamelessly manipulated. With the end game in Vietnam and the turpitudes of Watergate in the background, the major topic of this second volume in the journals of Jacques Vallée is paranormal research. 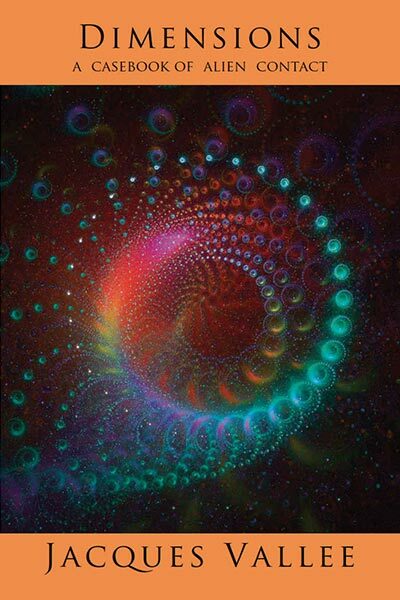 Vallée relates his behind-the-scenes experiences in California during the 1970s as the Human Potential Movement emerged, the Internet developed, and parapsychology secretly entered the physics laboratory. And all the while, as Vallée continued his examination of UFO encounters, the links to older mysteries became increasingly clear. The 1980s were a pivotal time in the development of venture capital that led to great innovations throughout the world. 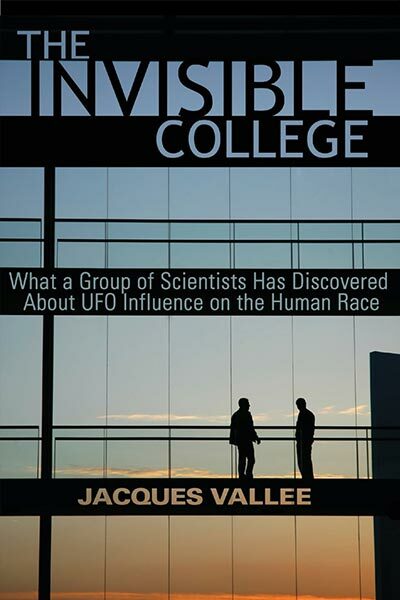 As recounted in this third volume of journals, Jacques Vallée found his passion in this world, while he witnessed with concern the increasing manipulation and disinformation that discouraged rational research into ufology. 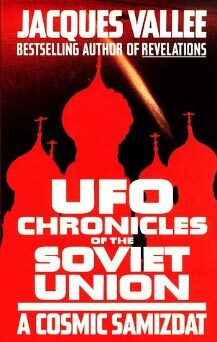 But he persisted in his first-hand UFO investigations in the US, Europe, and South America, and here strips from the historical record the secrecy behind which research into the paranormal was being conducted. In Dimensions, the first volume of his Alien Contact Trilogy, Dr. Jacques Vallée reexamines the historical record that led to the modern UFO phenomenon and to the belief in alien contact. 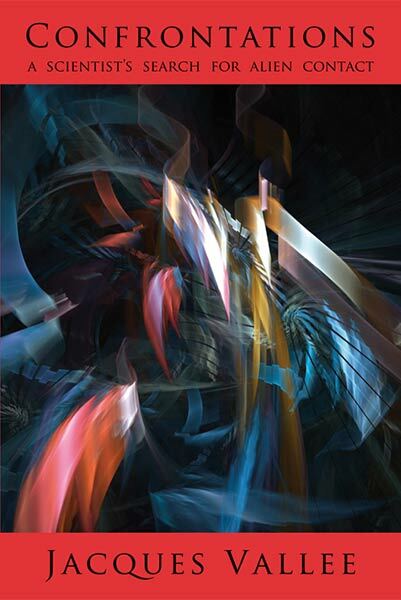 He then tackles the enigma of abduction reports, which come from various times and various countries, as well as the psychic and spiritual components of the contact experience. 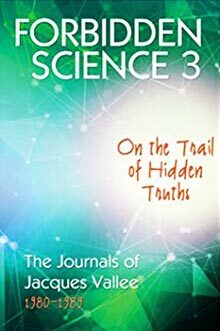 In the last portion of the book, he notes the factors that inhibit research into the phenomenon – the triple coverup and political motivations – and concludes that the extraterrestrial theory is simply not strange enough to explain the facts. In Confrontations, the second volume of his Alien Contact Trilogy, Dr. Jacques Vallée personally investigates forty astonishing UFO cases from around the world. He finds it shocking that professional scientists have never seriously examined this material. 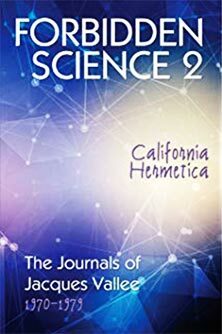 This book is about the hopes, experiences, and the frustrations of a scientist who has gone into the field to investigate a bizarre, seductive, and often terrifying phenomenon reported by many witnesses as a contact with an alien form of intelligence. In Revelations, the final volume of the Alien Contact Trilogy, Dr. Jacques Vallée presents startling evidence that well-constructed hoaxes and media manipulations have misled UFO researchers, diverting them from the UFO phenomenon itself. Vallée takes readers step by step into the tangled web of UFOlogy’s dark side, in an effort to clear the ever-thickening underbrush that has obscured the real nature of the UFO phenomenon. What is the nature of unidentified aerial phenomena? Forty years ago a small cadre of dedicated researchers began actively investigating cases, interviewing witnesses, and exchanging data through a small, informal network of international contacts. Today this low-profile network, or “invisible college,” has grown into a larger, multi-nation volunteer research effort joined by many individuals. But the questions first raised 40 years ago remain current-and unanswered. Two of our country’s most eminent scientists, both of whom have studied the UFO phenomenon for decades, have collaborated on this report of what serious scientists now believe about it. And they show that an increasing number of scientists are taking the UFO subject seriously. 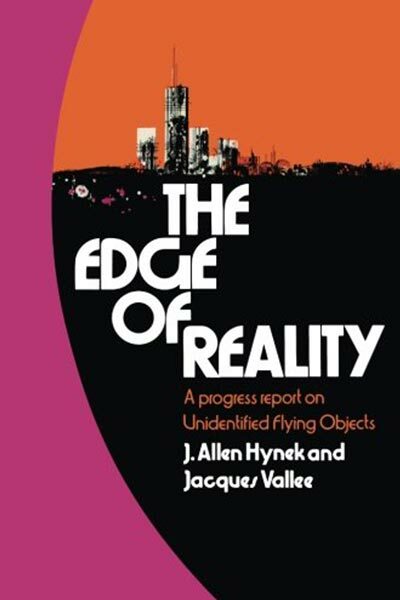 From the outset, Hynek and Vallée make their position clear: UFOs represent an unknown but real phenomenon. The far-reaching implications take us to the very edge of what we consider the known and real in our physical environment. Perhaps, say the authors, UFOs signal the existence of a domain of nature as yet totally unexplored. In this mind-stretching book, the authors sample UFO reports—including those allegedly involving humanoids—and describe the patterns that have been perceived in the behavior of the phenomenon. They also establish a framework for the further study of the UFO phenomenon. Where might such study lead? What can be studied, and how? What is the real nature of the UFO phenomenon? 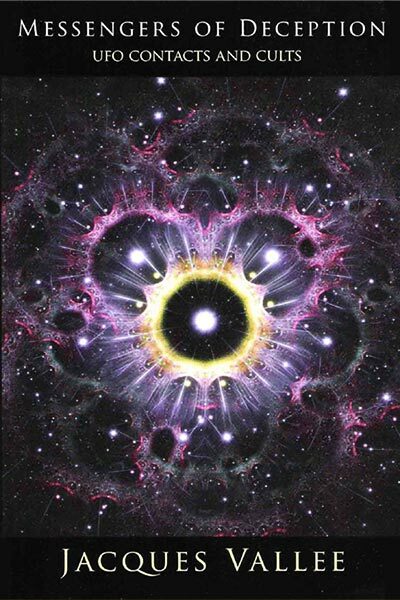 Does it originate with the actions of other intelligences in the universe? Does the UFO phenomenon have a purely physical explanation, or is there a vaster, hidden realm that holds the solution? It is readily acknowledged that our time has surpassed all epochs in history for the accumulation of technical knowledge, physical power over our environment, and economic might. It is less often pointed out, however, that our age has generated, and continues to generate, mythical material almost unparalleled in quantity and quality in the rich records of human imagination. More precisely, people have very frequently reported the observation of wonderful aerial objects, variously designated as flying saucers, unidentified flying objects (UFOs), and so on; among these narratives descriptions of landings made by these craft are commonplace; and that quite a few accounts purport to inform us of the physical characteristics, the psychological behaviour, and the motivation of their occupants. But investigators have neglected to recognize one important perspective of the phenomenon: the fact that beliefs identical to those held today have recurred throughout recorded history and under forms best adapted to the believer’s country, race, and social regime. If we take a wide sample of this historical material, we find that it is organized around one central theme: visitation by an aerial people from one or more remote, legendary countries. The names and attributes vary, but the main idea clearly does not. Magonia, heaven, hell, Elfland – all such places have in common one characteristic: we are unable to reach them alive, except on very special occasions. Emissaries from these supernatural abodes come to earth, sometimes under human form and sometimes as monsters. They perform wonders. They serve man or fight him. They influence civilizations through mystical revelation. They seduce earth women, and the few heroes who dare seek their friendship find the girls from Elfland endowed with desires that betray a carnal, rather than purely aerial, nature. These matters are the subject of Passport to Magonia, Jacques Vallée’s seminal master-work that changed our understanding of the UFO phenomenon. 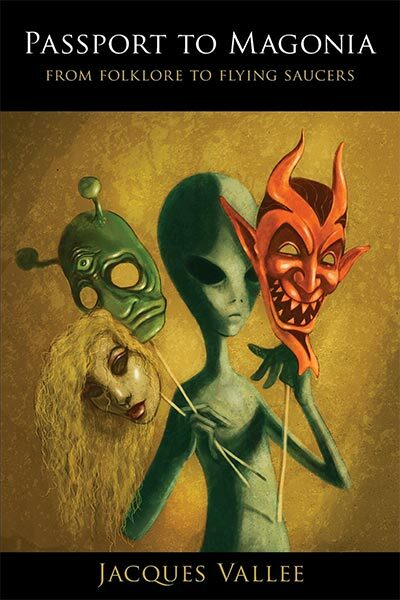 An instant classic when first published in 1969, the book remains a must-have resource for anybody interested in the topics of UFOs and alien contact, as well as those fascinated by fairy folklore and other paranormal encounters. What is it that is flying in our skies? (Co-author with Alexander Kazantsev). In Russian. Tekhnika Molodezhi (“Technology for Youth”) no.8, pp.23-25, Moscow August 1967. The article was reprinted in TRUD, the daily newspaper of the Soviet Trade Unions (circulation: 22 million) on 24.Aug. 1967. Translation by Gordon Creighton in FSR XIII, 6, pp.11-12. Analysis of 8,260 UFO Sightings – A study of BlueBook cases reported to the U.S. Air Force. Flying Saucer Review (FSR) XIV, 9, pp. 9-11 (May-June 1968). UFOs: The Psychic Component. Psychic Magazine Vol. V no.3 pp.12-17 (Feb. 1974). Basic Patterns in UFO Observations. (Co-author with Dr. Claude Poher). Aerospace Sciences Meeting, Pasadena, CA. (January 20-22, 1975). Chapter of the World Futures Society and the LA and Orange County sections of the AIAA. Edited by A. Douglas Emerson. Los Angeles, California pp.19-21 (27 September 1975). Committee of the United Nations Organization. New York (27 November 1978). Phenomena. American Institute of Aeronautics and Astronautics (AIAA). Los Angeles (19 April 1986). The Bogota Specimen: a new physical investigation. FSR XXXII, 6, pp.23-26 (Nov. 1987). Five arguments against the extraterrestrial origin of Unidentified Flying Objects. Journal of Scientific Exploration (JSE) Vol.4 no.1 pp.105-117 (1990). Photographic Analysis of an Aerial Disc Over Costa Rica. (Co-author with Dr. Richard Haines). Journal of Scientific Exploration (JSE) Vol.1, no.4 pp.71-74 (1990). Journal of Scientific Exploration (JSE) Vol.4, no.1, pp.19-25 (1990). Luminosity Characteristics. JSE Vol.12 No.3 pp.345-358 (1998). Journal of Scientific Exploration (JSE) Vol.12 No.3 pp.359-375 (Autumn 1998). 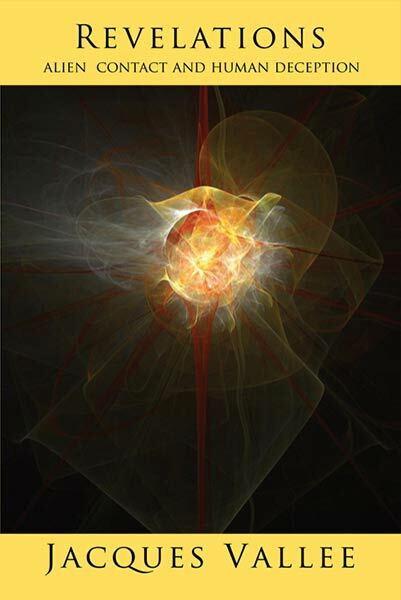 Anomalous Phenomena (Co-author with Dr. Eric W. Davis). In: Proceedings of the International Forum “Ciëncia, Religiao e Consciëncia,” Fernando Pessoa University, Porto (Portugal) 23-25, pp.223-239 ( October 2003). French translation in Bulletin du Gesag no.121 (March 2006). Are UFO Events related to Sidereal Time? Arguments against a proposed correlation. Unidentified Aerial Phenomena. Internet publication (April 2007). Unidentified Aerial Phenomena – A Strategy for Research. CNES-GEIPAN International Workshop, Paris 8-9 (July 2014). Submitted to the SETI Institute, 2016. Articles explaining the so-called “Crop Circles”: Meme Wars and Web-based Flypaper! Demain La Terre – French translation by Chantal Donskoff of ‘Worlds Beyond’. Toulouse: Arcturus- Les Temps Futurs. (1979). French Translation by Costagliola and F. Boitte. (2003). Système de Classification et d’Indicateurs de Fiabilité pour l’Etude des OVNI. “System of Classification and Reliability Indicators for the Analysis of the Behavior of Unidentified Aerial Phenomena.” Published on the Internet (April 2007). French Translation by G.Deforge and F. Boitte, 2007. Métapsychique (Institut Métapsychique International) no.1 (Dec. 2017). What do we know about the Material Composition of UFOs? Presentation at “Contact in the Desert,” Mojave, 2017. The Software of Consciousness: Intriguing Lessons and Lingering Puzzles on the Far Side of StarGate (2018). (See also the tab “Video Presentations”).